Inspired by the sun, summer and all things beach, pull out your sunglasses for these bright holos from Leesha's Lacquers! Flippy Floppy’s - A grape purple holo, like the color of your favorite flip flops! Sand in my Ice Cream - An orange holo, that is reminiscent of what your orange creamsicle used to look like...before you dropped it in the sand of course. Surf’s Up - A turquoise holo, the same shade as the Caribbean waters. Ah! I Touched the Seaweed! - A light green holo, be careful where you step!! I attempted to make this look like a brass leaf with a patina in the gooves. I love how it turned out! 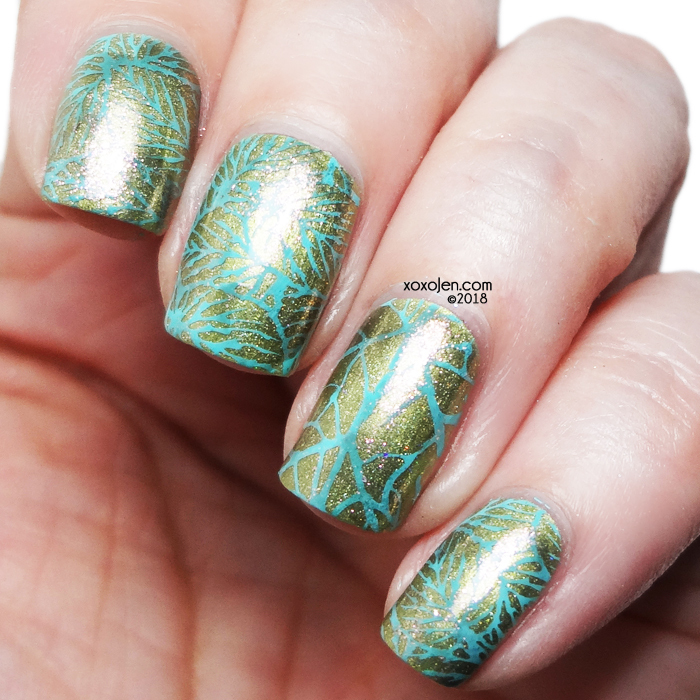 I sponged on a brown shimmer polish to help give a more tarnished effect, then stamped with a bright aqua from MdU. 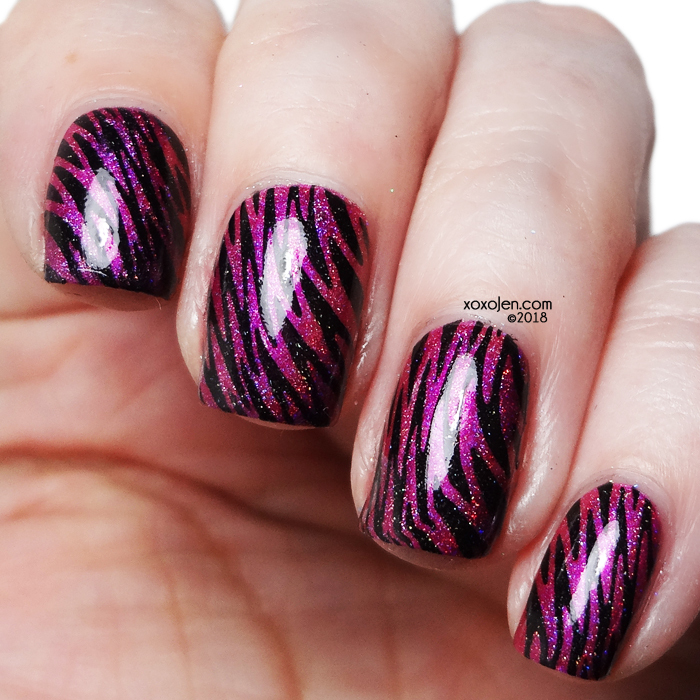 Who doesn't love a pink zebra print? This polish makes a fantastic one! Every single polish in this collection has a fantastic formula and is shown here in two coats and then topcoated. I love this vibrant set, perfect for the last days of summer! 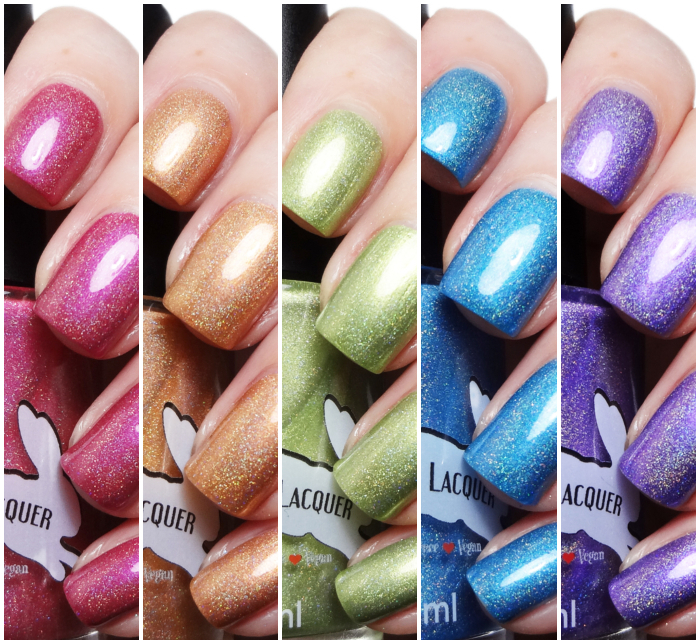 Get your holo rainbowy set on July 27 at Leesha's Lacquers. Available in both full and mini size.